P.C. Zick began her writing career in 1998 as a journalist. She’s won various awards for her essays, columns, editorials, articles, and fiction. She describes herself as a “storyteller” no matter the genre. She’s published five works of fiction and two nonfiction books. 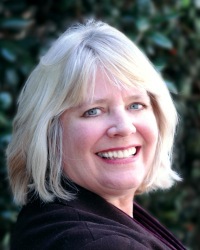 Prior to 2010, she wrote under the name Patricia C. Behnke. She was born in Michigan and moved to Florida in 1980. Even though she now resides in Pennsylvania with her husband Robert, she finds the stories of Florida and its people and environment a rich base for her storytelling platform. Florida’s quirky and abundant wildlife – both human and animal – supply her fiction with tales almost too weird to be believable. Her fiction contains the elements most dear to her heart, ranging from love to the environment. In her novels, she advances the cause for wildlife conservation and energy conservation. She believes in living lightly upon this earth with love, laughter, and passion. Everything is an inspiration to me. I keep my mind open to life and new experiences. The newspaper is a great inspiration. One time I read about a man who shot his pit bull because it was showing signs of homosexuality. While it’s a gross news item, it also makes a great bit of characterization for an evil or crazy antagonist. I go to the food court at the mall occasionally. I sit at a table and pretend to read, but really, I’m eavesdropping. I usually pull out a small notebook – I carry several in my purse – and write little vignettes about the folks eating. It all inspires me. I am not an outliner. I’ve tried it, but it doesn’t work for me. I believe that every writer must find his or her way. I write a first draft as if it’s the story, but it’s a lot of telling rather than showing. I write scenes in my notebooks, some of which make it into the book, and some don’t. Those scenes or sketches are more for me to get to know my characters. Once I have the first draft roughed in, which to me is like pouring the cement for a patio. It’s lumpy, and there’s usually too much cement poured into the frame. I then go with my trowel and begin smoothing, removing, and plotting. When that’s finished, I let it set for a bit. It might be ready for the beta readers at this time, or I might let it rest and then come back and water it. Then it’s time for the serious editing by me. I consider all the comments from the beta readers and myself. I polish, correct, edit, and agonize before sending it to my editor. This works for me. When I begin to think about characters after I’m done writing for the day, I know I’ve done something good. I think about how they might react. I don’t talk to them, but in moments of despair in my writing process, I’ve done interviews with them. An agent once suggested I do that. She said if I woke in the middle of the night thinking about my book to go straight to the computer, with no lights on, and my eyes closed and just ask questions of the character. It was a changing moment for me in the writing of my novel A Lethal Legacy. Authors must be flexible and adaptable because the world of writing and publishing is changing at a horrific speed. I often feel that the more I learn, the less I know. I also recommend writing a blog and concentrate on writing good posts. You’ll slowly build followers. Follow other bloggers and leave thoughtful and meaningful comments. Tweet about topics dealing with your platform and other writers. Don’t shout about your books and reviews because you won’t build a following that way. I learned very quickly that I gained more hits on my blog and more comments and followers by promoting and following others. Write good posts on a regular schedule and make sure posts are concise and clear. Less is more. Folks will start to find your books without having it shoved at them. And then, I’d like to give the simplest and most basic advice of all: Write, always write. My first novel was published in 2000 with a traditional, small publisher. There weren’t many other choices then, and I didn’t want to go to a vanity press. I published two other novels traditionally and was dissatisfied with the whole concept of me doing all the work, including marketing, and getting so little in return. I dropped out from about 2007 to 2010, but I continued to write, I just wasn’t trying to publish. In 2010, I stuck my toe into the world of the Indie Author. I began researching and discovered that I could make money and have control over my products. In 2012, I published my first eBook, Live from the Road. Since then I’ve published five other books and am currently working on two more. I’m content as an Indie Author and have no desire to go the route of querying, waiting, and losing time and money. Again, this is a very personal decision, and one that I’ve seen from both sides. I call it a “revolution,” and I’m happy to be a part of it. Slowly, Indie Authors are gaining some respect. It is imperative that Indie Authors put out their very best work. I’ve read some wonderful books recently and I do all I can to promote other Indie Authors. Those of us who stick with it, we succeed.